Logan Langly lives in a constant state of paranoia. He's sure someone is watching him, sneaking into his home, and following him at night. No one believes him, of course, and they just think that Logan is a little crazy. Except Logan is starting to realize he's not as crazy as everyone thinks and he's more determined than ever to find out about The Mark and what happened to his sister. 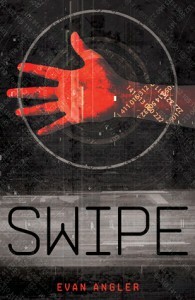 Evan Angler has created an exceptional dystopian world with Swipe. 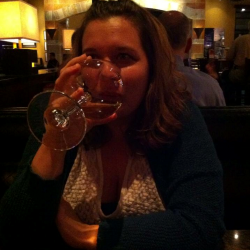 The idea of becoming an adult when you turn 13 goes a little bit further here. Once you come of age you are able to take a pledge and get your mark. The Mark seems to open up the world to you. Once you have it you gain new freedoms and privileges, and for most of the people alive today, it's exciting and something to look forward to. Logan always looked forward to the day he could take the pledge and get his mark, but after his sister never returned from taking her pledge, Logan starts to wonder about what is really going on. I really liked Logan. He may have been extremely paranoid and a little awkward, but I think he was a great character and someone younger people would find themselves relating to. Logan wasn't willing to give up and was determined to find out what really happened to his sister. That's an admirable quality in someone so young. He wasn't unafraid, but he wasn't so easy to give up, either. I don't read a lot of middle grade books, but the story in Swipe sucked me in and had me guessing what was going to happen on the next page. So many new doors are opened at the end of the story and it sets things up nicely for book two, Sneak. Evan Angler has got himself a new fan, in me, and I look forward to reading more of Logan's story.